TAKEAWAY: It’s one of those days that die-hard editors cherish, and that put everyone and everything to the test, especially in the era of the media quartet. 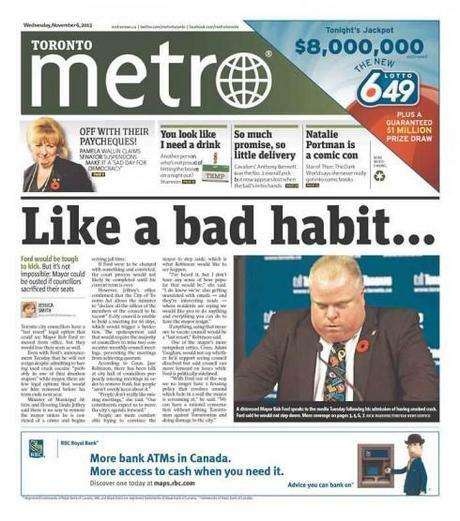 We think that these Canadian dailies raised to the occasion. 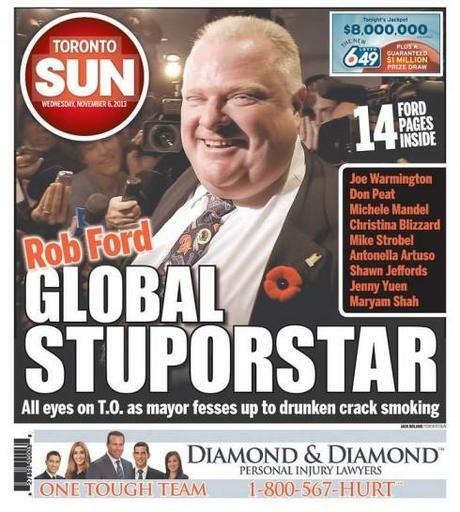 When the mayor of Toronto, Rob Ford, confessed what some had suspected for some time, that he used crack cocaine while in office, that was already a major breaking news event. Then, just about the same time three senators were suspended over allegations of “gross negligence” related to their expense claims. While these news events were breaking online, of course, print edition editors and designers had to worry about what play to give a story that people knew about, but that would be extremely interested in pursuing, in whichever platform. We know that with news events of this nature, the interest and the hype are so high that printed editions do very well. Readers want to know more. The way the news is presented, how the headline is written and how an editor puts the arm around the reader and tells her: “I know that you know this, but I am going to tell you so much more”, all of those elements must be present. The front pages we show here have excelled in doing that. 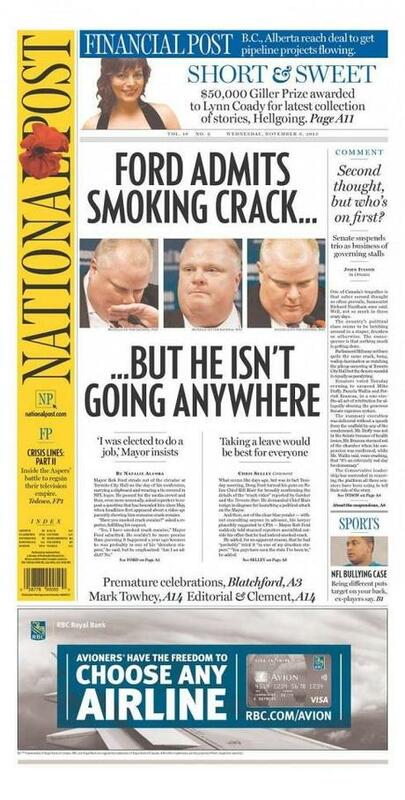 We have a favorite: The Ottawa Citizen. The Citizen managed to package the two events with the same sense of urgency, and with one word headlines. Bravo. But all of these front pages are a reminder that one can do print happily and efficiently. Take a look!